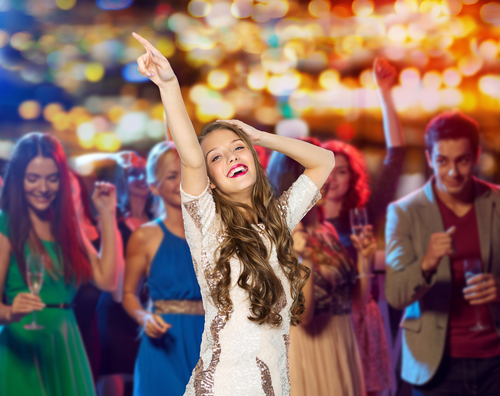 With the school year halfway complete, Winter Formal season is approaching, and now is the best time to reserve one of the high-energy, professional DJs of Party Pleasers Services in Cincinnati, OH. Turn your school’s winter dance into a thrilling event that will be remembered forever by all who attend. Read ahead to discover why hiring a DJ will take your school’s winter dance to the next level. When you’re planning an event, it’s easy to get overwhelmed, but the DJs of Party Pleasers Services are always prepared to wear many hats throughout your event. A DJ will be a Master of Ceremonies at your winter event, and this role can include making announcements to name the King and Queen of the dance, introductions of guests, and fun interactions. Don’t worry about students growing bored or quiet during the event, as the DJs will keep the crowd energized and rocking to a playlist of over 50,000 songs. Students and teachers can make requests in person or utilize the online music reservation system on the company website. To promote a safe and friendly environment for all dance participants, the DJs of Party Pleasers only use edited music that is appropriate for high school students. Parents can rest assured that their children are experiencing good, clean fun while dancing the night away at their winter formal. Furthermore, DJs come prepared with a solo microphone for epic sing-a-longs if you want to incorporate this fun into your school’s next winter dance. You next big high school event will be a hit when you hire the right entertainment. From keeping the atmosphere fun and exciting to making important announcements as MC and churning out your favorite hits, a Party Pleasers DJ will make your event extra special. If you’re interested in planning an event, visit the website or call (513) 417-8316 to get your winter dance entertainment plan in motion.